Any support would make the Mirai no Mori programs more diverse and sustainable, allowing us to empower as many youth as possible. When are you planning to donate? Thank you for your donation, let us know by contacting us! Any support from corporate donors would make the Mirai no Mori program more diverse and sustainable, allowing us to grow even more. Please contact us if you are interested. See our sponsors and partners. Become a Volunteer and Join the Team! Good at event planning? Help us organize and run fundraising events! Public events are scheduled in June, September, December, and March. Two months preparation is needed for each event. Add your own touch to a Mirai no Mori tradition by designing our Camp Passport! Design a t-shirt that campers can treasure for years to come. Can you translate both Japanese and English? We need bilingual writers to help convey our message to the world! 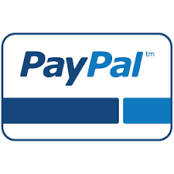 We would love to have your support with our bookkeeping. Keep us moving forward by helping with our administrative work. Create monthly newsletters to share the fun with sponsors, donors, staff, and our other supporters! Are you a Facebook expert or a Twitter guru? Help us expand our reach through social media! Help us keep camp magic alive year-round through a bi-monthly newsletter. Other than monetary donations, we need help with many different types of equipment and tools to make our outdoor programs happen. If you can donate any of the goods below, please contact us. 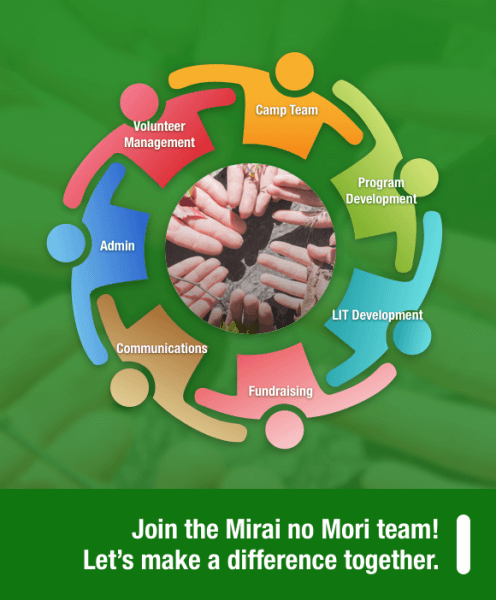 Do you have professional skills or services you would like to share with Mirai no Mori? As a not-for-profit, we’re always grateful to those who can help us empower the youth we serve. If you can assist in any of the areas below—for a one-off project or ongoing—we’d love to hear from you. 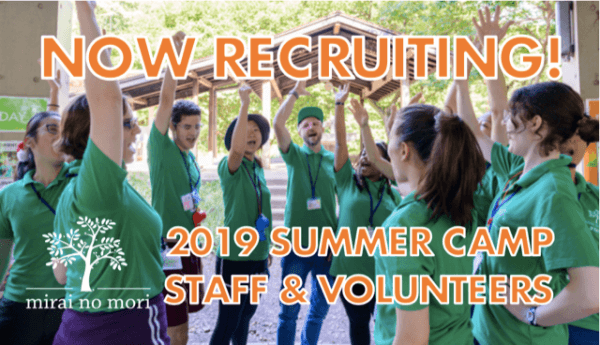 Mirai no Mori is collaborating with Otakara-aid in a new initiative that allows you to donate your disused items to help fund our summer and winter camps! Your donation will be assessed by Okaitoriya Meguro Yamatedori store for its value and a donation of the evaluation price plus 10% will be made to Mirai no Mori. The 2014 summer camp was Takashi’s* second time at Mirai no Mori. At the camp, both the care staff and the children were able to experience the same things and create lots of happy memories.